This past Friday night I was home channel surfing. I came across an interesting program on a local Miami sports channel. The program featured lessons learned from the gridiron by legendary college football coach, Bobby Bowden. A year ago, at age 80, he retired as head coach of the Florida State University (FSU) Seminoles, a position he held since 1976. He coached professionally for 55 years, including one other stint as head coach at West Virginia University. 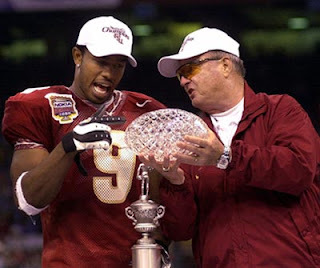 The reason the program caught my attention is that Bowden was talking about his relationship with his players. He spoke of how many of them still see him as a father figure. He sent many of them off to the pros after successful careers at FSU. But he sent even more of them off to succeed in other vocations. The part of the program that was most intriguing to me was when he was asked, “What’s the main difference between the players that you coached at the beginning of your career and today’s players?” He replied, “The kids today, when they walk into my office, have the same innocent smile. But what’s different is that most of them don’t know who their daddy is. I get so mad at these dads that just have them and take off.” That response caught my attention. I started The Upbeat Dad with the mission to help fathers, mothers and kids realize the very important and critical role that dads play in kids’ lives. Some men willingly embrace this role but far too many do not. So much changed throughout Bowden’s 5 decade career but the point he chose to emphasize was the trend we call the absentee father syndrome. These are only a few statistics that highlight what occurs when men are absent from kids' lives. I shook my head in disappointment. I know what the statistics say about this situation being a reality but when I can actually look into the eyes of young kids who have been essentially abandoned by their fathers, that’s really heartbreaking. I cannot imagine just walking away from the responsibility of being a dad to my kids. But for so many men, that’s just a way of life. In reality, the last conversation that many men have with their girlfriends is when they say, “Ï’m pregnant.” Those words send the men bolting for the nearest door and they’re never seen nor heard from again. Now, I realize that there are unintended pregnancies. I also realize that at times men feel as if they are tricked into a trap and are tied to a situation that they never wanted. And as I’ve stated on previous posts, the family law system isn’t necessarily always fair. But the bottom-line in my view is that our children never asked to be conceived. They never ask to come into the world. Therefore, regardless of the circumstances that result in kids being born, they still need love, affection and care. What happens all too often is that the mothers are left on their own to raise the kids while the dads essentially get a free ride. That’s not fair for anyone involved – not the mothers nor the kids. I hate to think that some men go about their everyday lives with full knowledge that they have kids somewhere and never even acknowledge their existence. 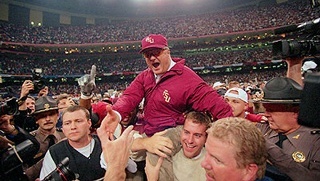 Coach Bobby Bowden and those on his coaching staff mentored many of the young men who were under their care. For some of them, these were the only father figures they have known. I’m so pleased that Bowden was able to serve in such a capacity for so many years for these young men. But then I think further about the kids who didn’t have the talent to get football scholarships. What happened to them? 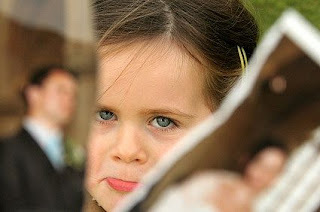 Do they simply show up in some of the statistics that we use to highlight the effects of the absentee father syndrome? I know this isn’t the most pleasant of topics for you to read about. It certainly is not the most pleasant of topics for me to write about. But for me to sit back with my wife and two kids in comfort, while thousands, if not millions, of our friends and neighbors are dealing with this epidemic, would be wrong on my part. My view is that, if I can help to shed some light on issues such as these, we can increase dialogue. And ultimately, more men would come to the understanding that they owe it to their kids and the kids’ mothers to step up and do the right thing. Our hope is that this will be the first of many such events throughout the world over the next few years. With public gatherings and open, honest discussions, we believe that we can attack the absentee father epidemic, as well as many other issues that cause men not to be active in the lives of their children. If you’re in the Miami area, we’d love to have you share in that event with us. I believe that it will be a productive evening where honest ideas are exchanged – ideas that will result in us having more actively involved fathers for our kids. I’m thankful to Coach Bowden for choosing to highlight this issue. And I hope that after reading this post, you’re inspired to help us in our cause to have more upbeat and less deadbeat fathers. I think this topic needs to be looked at a bit deeper. General statements about dads being deadbeats is tiresome. I would be interested in looking at the socio-economic factors in these statistics. Especially in the world of college athletics. I believe just as kids we have a tendency to live up to labels. I think it is time to label and highlight a picture of awesome single dads (most that I know). Enough about labeling dads as deadbeats. Barry it is only tiresome if it doesn't relate to your situation. Those of us who raised children whose fathers were absent don't find it tireless. I understand you desire to want to highlight the good dads but this isn't about labeling absent dads, it is about shedding light on the issues fatherless children face. I appreciate any effort made to bring attention to this issue because it is fatherless children who need the help. Not children whose fathers are fully engaged in their lives. 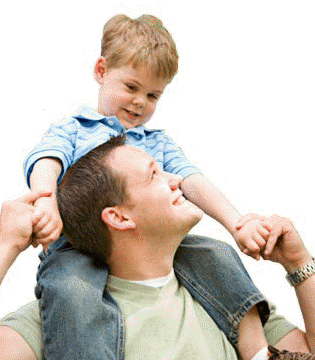 There are nearly 24 million children growing up in homes without fathers in this country. 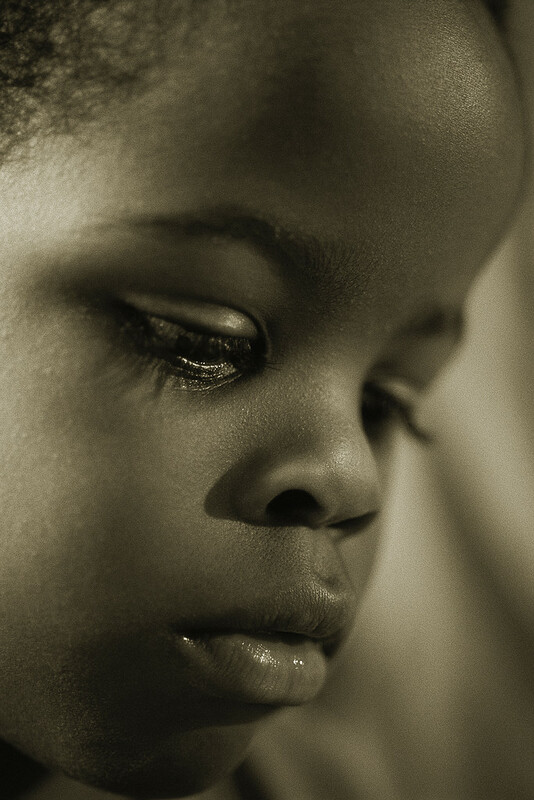 Do we ignore their plight in an attempt to not label their absent fathers as deadbeat? 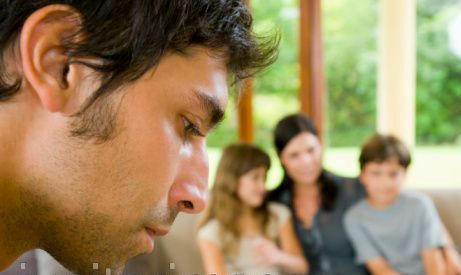 Do you awesome single dads deserve more attention than those fatherless children? Not in my opinion. I am disappointed the conversation went in this direction. Did I say anything against the plight of single mothers? Did I say the children are not important? Why does this have to be an either or as your last comment alludes to which I feel is very condecending? I am debating the math and how it can be skewed. This is exactly why the conversational tone will never change.I will not feel I need to apologize trying to shed a positive image of single fathers. As stated by by one of my favorites the legendary coach John Wooden - "Be quick to praise and slow to critisize". Great post. I work everyday with young men who don't have relationships with their fathers or just never met them. I won't bore anyone with any statistics but they all have grown to see me as a father figure. They confide in me about their emotions, fears, and anger. My wife and I never had any kids of our own and now we know why. There is such a need for male role models and mentors for young men and young women. I am honored to be a part of their lives. I grew up in the inner city of Chicago in the 60's and 70's. My grandfather and grandmother were guiding forces in my life. Looking back on my own life I knew my life would have taken a different direction with out them. Much love to all of the single dads, moms, aunts, uncles and grandparents who are doing the best they can to raise their kids. Too many broad statements as usual from the where are the fathers crowd. You dont talk about the fathers who are given a few days a month and are turned into a second class parent who pays child support. No one can make a man be a father, but we can help the millions of fathers being treated unfairly by the courts be better fathers. Do me a favor - Read through this blog and look at the consistent theme in the posts. In particular, look at posts such as "The Great Oxymoron: Family Law" and "How I Could Have Become a Deadbeat Dad" and tell me if you still think I'm in the "where are the fathers crowd." This post about Bobby Bowden is an observation about the absentee father issue but don't think for a moment that I don't recognize the inherent bias in the family law system. I've experienced it personally and know how challenging it can be. Still, in addressing the overall problems with absentee dads, personal responsibility on our part is of great importance. If the law functions against men, that still doesn't give us a license to remove ourselves from our kids' lives. As I said, I've been through the process and I've found that through it all, standing up for the kids is the only thing that makes it worth dealing with.